Book by 30 April and receive up to 10% off per person for the first two passengers and priority access to the Theatre! Cruisin’ Country 2020 cruising to the South Pacific from Sydney on 5 October 2020 for 8 nights aboard the Serenade of the Seas visiting Noumea, Isle of Pines and Lifou. 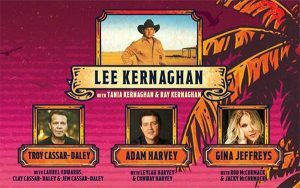 Featuring headliner Lee Kernaghan performing with Tania Kernaghan alongside multi gold award winning patriarch of the Kernaghan Family dynasty, Ray Kernaghan – over 50 artists will join 2,200 country music enthusiasts for a non-stop music and cruise experience of a lifetime. 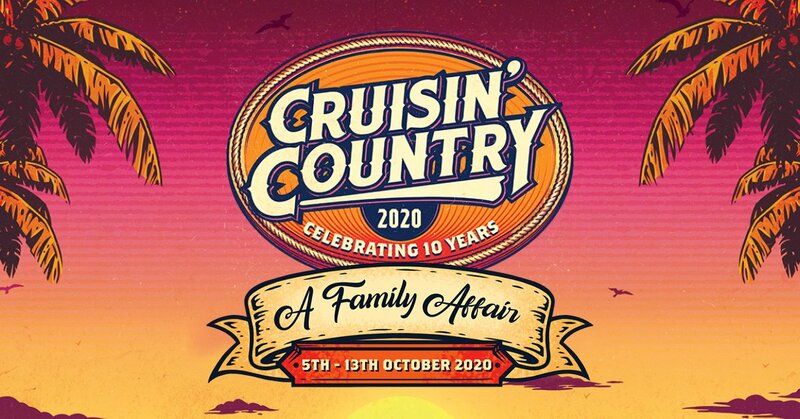 Cruisin’ Country 2020 will commemorate what makes Australian Country Music special and celebrated with their very own family members performing on stage together for the first time. EARLY BIRD OFFER – ON NOW! Book by 30 April 2019 and you will receive 10% per person off the 1st and 2nd guest. PLUS receive VIP treatment with priority embarkation and theatre access! 3rd/4th berths, family and accessible rooms available on application. Solo travellers only pay 150% of the cabin fare. SAVE 10% if booked by 30 April 2019. For more details contact Cruise World Holidays today on 1800 175 174 or enquire online today. But hurry, with such a great line up cabins will sell quickly! *Price is based on lead-in inside cabin with Early Bird discounts already applied. This Early Bird Discount offer is valid until 30 April 2019 and is based off current brochure rates and not combinable with any other offer. Deposits will be 25% within 7 days of booking. Some ocean view or balcony cabins may have an obstructed view. Single travelers must pay a single supplement. Agents may charge service fees and/or fees for card payments which vary. Cancellation penalties and conditions apply. Cruisin’ Country is a brand name of Choose Your Cruise Ltd and is operated for Cruisin’ Country Pty Ltd by Discovery Travel Centre Pty Ltd trading as Cruiseco. All offers are subject to Terms & Conditions. All prices quoted are per person twin share unless otherwise stated and subject to availability & operator conditions. Prices are correct at time of print but may be subject to change without notification. Operators reserve the right to withdraw offers at any time. All CruiseWorldHoliday users can register to receive free Hot Offer email cruise alerts.